1 February 2014: At the annual Munich Security Conference John Kerry and Chuck Hageltold US’sEuropean allies that Washington would depend more heavily on them to tackle a host of political and security issues. They said that a “transatlantic renaissance” was necessary to confront an array of challenges, from climate change to extremism in the Middle East. 28 February 2014: In an effort to preclude a full-scale military escalation, President Obama issued a stern warning to the Kremlin government and asked to respect Ukraine’s sovereignty. 25 April 2014:In South Korea, Obama made an important statement while saying that US was not interested in “containing China” what some experts said could be portrayed as a “containment tour” of Asia. Obama said that US is interested in China’s peaceful rise and in that role has to abide by certain norms. 3 June 2014: In order to show support to Central and Eastern Europe against Russian aggression, Obama announced a program to expand military training, joint exercises and troop rotations while prepositioning equipment in the region to bolster defences for American allies. 16 June 2014:The Obama administration ordered urgent deployment of several hundred armed troops in and around Iraq, after the rampant insurgency in the country. 28 July 2014: US alleged that Russia violated a landmark arms control treaty signed in 1987 by testing a prohibited ground-launched cruise missile. 7 August 2014: President Obama announced he had authorized limited airstrikes against Islamic militants in Iraq in an effortto avert the fall of the Kurdish capital, Erbil. He also insisted that these military operations did not amount to a full-scale re-engagement in Iraq. 11 September 2014: In a speech on the eve of the 13th anniversary of the 9/11 attacks, Obama announced an aggressive offensive to combat ISIS. He compared the campaign to those waged against al-Qaeda in Yemen and Somalia, where US drones, cruise missiles and special-operations raids were launched against the local affiliates. 17 December 2014: President Obama ordered the restoration of full diplomatic relations with Cuba and the opening of an embassy in Havana. 11 March 2014: The India-US Energy Dialogue was held in New Delhi and was co-chaired by Deputy Chairman of the Planning Commission Montek Singh Ahluwalia and Secretary of US Department of Energy Dr. Ernest Moniz. The two countries affirmed to collaborate on energy and promote greater technological innovation and sound regulatory frameworks to deliver energy solutions for sustainable growth. 30 April 2014: In the annual Special 301 report, the US classified India as a priority country along with several developing countries, including China, Russia, Thailand and Indonesia, and criticized these countries for the rules related to patents and review of the global state of IPR protection. 24 July 2014: The first trilateral Malabar Naval exercises in the tenure of Modi government involving India, United States and Japan were held from 24-30 July in the Western Pacific Ocean near Japan. The Malabar Exercise is normally an annual bilateral naval exercise involving India and the United States. 31 July 2014: The fifth US-India Strategic Dialogue was held in New Delhi and was co-chaired by Secretary of State John Kerry and External Affairs Minister Sushma Swaraj. The strategic dialogue is part of the complex architecture of the India-US engagement which encompasses over 30 discrete dialogue mechanisms, covering diverse areas. 7 August 2014: US Defence Secretary Chuck Hagel visited India to strengthen defence ties between the two nations. One of Secretary Hagel’s goals was to seek more defence projects between the two countries. 30 September 2014: A fourteen day long Indo-US Military exercise ‘YudhAbhyas 2014’ was held in Uttarakhand from 17-30 September to strengthen and broaden inter-operability and cooperation between the two Armies. It was the tenth exercise in the YudhAbhyas series. 30 September 2014: Prime Minister Narendra Modi visited United States from 26-30 September. It was his first bilateral summit with the US President Barack Obama. Key outcomes of Prime Minister's visit included new mechanisms to enhance trade and investment, particularly in infrastructure. 13 November 2014: India and the US reached an agreement under which the subsidy given by the Indian government to farmers through minimum support prices would not be challenged even if they breached set limits, thus ending the deadlock at the WTO. 22 November 2014: National Skill Development Corporation of India signed an agreement with US-India Business Council with an aim to strengthen India-US cooperation in the area of technical and vocational education and skills training. Under the MoU, the two countries would establish a platform to enable corporate entities from the US to set up and support skill development centres in India. 2 January 2015:The US mission to India announced Richard Verma as the new Ambassador to India who would continue to work towards advancing the India-US Strategic Partnership. 11 January 2015: US Secretary of State John Kerry visited India on 10-11 January 2015. Prime Minister Narendra Modi met him on the sidelines of Vibrant Gujarat Summit and discussed a host of critical issues, including terror and the upcoming visit of President Barack Obama as chief guest during the Republic Day parade. 12 January 2015: The India-US Investment Initiative was launched in Washington by which India agreed to cooperate on facilitating capital market development conducive to financing investment in various sectors in India. 12 February 2015: Indian Finance Minister Arun Jaitley and U.S. Secretary of the Treasury Jacob J. Lew attended the Fifth Annual India-U.S. Economic and Financial Partnership held in New Delhi. The two sides committed themselves to boost efforts to address the issue of illicit money transfers for terrorism, money laundering and other legal illegal activities. 1 February 2014: President of the European Council Herman Van Rompuy in his speech at the Munich Security Conference said the future of Ukraine belongs with the European Union. 6 March 2014:The European Union planned an emergency meeting in Brussels to debate the crisis in Ukraine, reinforcing its support for the fledgling government in Kiev even as it punished the Russian-backed former President Viktor Yanukovych, with measures to freeze his assets and those of 17 of his closest aides and family members. 5 April 2014:EU High Representative Catherine Ashton, Swedish Foreign Minister Carl Bildt, British Foreign Secretary William Hague and Polish Foreign Minister Radoslaw Sikorski called on their counterparts in Athens to prepare more restrictions on cooperation with Russia since the Kremlin had failed to move its troops away from Ukraine's border. 29 April 2014:The European Union released the names of 15 new people it was targeting for sanctions because of their roles in the Ukraine crisis. The decision taken by the EU governments' ambassadors in Brussels brings the total number of Russians or pro-Russian individuals in Ukraine targeted by the EU's sanctions to 48. 11 May 2014:The European Union said it would not recognise the result of a referendum on self-rule held by pro-Moscow rebels in east Ukraine, calling it illegal. 4 June 2014:Heads of G7 leading industrial nations called on Russian President Vladimir Putin to engage with Ukraine's incoming President Petro Poroshenko, but stopped short of triggering fresh sanctions against Russia at a curtailed two-day summit in Brussels. 27 June 2014:Petro Poroshenko concluded the Association Agreement at the Brussels headquarters. The accord with the European Union fulfils an election promise by President Poroshenko to move Ukraine closer to Europe. 13 August 2014:European nations moved to intensify their involvement in Iraq, announcing further humanitarian aid and, for the first time, pledging to supply arms to the embattled Kurdish forces fighting the Sunni militants who have overrun much of northern Iraq. 1 April 2014: NATO’s foreign ministers vowed to strengthen the alliance’s military presence on the territory of its Eastern European members because of Russia’s military intervention in Ukraine. The move came as the alliance ordered an end to “all practical and military cooperation” with Russia because of the Kremlin’s annexation of Crimea and its threatening military posture near eastern Ukraine. 6 May 2014: NATO would consider permanently stationing troops in parts of Eastern Europe as a result of the increased tension between Russia and Ukraine, the alliance's top military commander said. 3 June 2014: NATO’s Defence Ministers meeting was held in Brussels on 3-4 June 2014. NATO’s Secretary General Anders Fogh Rasmussen said that a number of decisions have been taken to make NATO fitter, faster and more flexible. He said that the leaders would continue to reinforce NATO’s collective defence, with more air and sea patrols, and more exercises and training. 5 September 2014:At the Wales Summit on 4-5 September 2014, NATO reaffirmed its commitment to fulfil all three core tasks set out in its Strategic Concept: collective defence, crisis management, and cooperative security. 6 February 2015:At the 51st Munich Security Conference, NATO’s Secretary General Jens Stoltenberg said that 2014 was the turning point for European Security and global order – from conflict in Ukraine to Russia’s aggressive behaviour to the unrest in North Africa and Middle East and rising extremism. 13 October 2014: Britain’s Parliament overwhelmingly passed a nonbinding resolution to give diplomatic recognition to a Palestinian state. The vote was a symbolic indication of how public opinion has shifted since the breakdown of American-sponsored peace negotiations and the conflict in Gaza this summer. 17 November 2014: David Cameron issued a stark message that “red warning lights are flashing on the dashboard of the global economy” in the same way as when the financial crash brought the world to its knees six years ago. 8 July 2014:India and Britain signed deals worth £370 million majority of which come from British companies vying for space in India’s huge defence market. Out of the £370 million, the Indian Air Force’s deal to buy ASRAAM missiles for its Jaguar fighter jet fleet from defence manufacturer MBDA alone is worth £250 million. 28 October 2014: British Defence Secretary Michael Fallon visited India on a day’s trip, to commemorate India’s contribution to World War I, which saw the participation of over 1.1 million Indian soldiers and around 70,000 fatalities. 30 October 2014: UK Defence Secretary Michael Fallon pitched for British investments into the Indian defence sector, even as he indicated London’s readiness to negotiate on the Eurofighter deal. 21 January 2015: The UK government would quadruple its global scholarship funding for Indian students over the next two years making India the largest recipient in the world, replacing China. Andrew Soper, Minister Counsellor, British High Commission, mentioned this at a seminar in Puducherry saying that the UK government's funding for Indian students, which was £600,000 in 2013-14, rose to £1.6 million in 2014-15 and would touch £2.4 million by the end of 2015-16 financial year. 30 October 2014:President François Hollande’s government disputed a Russian claim that France was preparing to hand over the first of two Mistral-class warships to Moscow in November 2014. He spoke a day after a state-controlled news agency in Russia quoted the deputy prime minister, Dmitri O. Rogozin, saying that Moscow had received an invitation to take delivery of the first helicopter carrier 14 November. 5 December 2014: French Defence Minister said that the two warships that France agreed to sell to Russia might never be delivered, drawing an angry response from Moscow, which said Paris must honour its contract in full. 2 June 2014:The fifth Indo-French bilateral air exercise-Garuda V- began at the Jodhpur base from 2-13 June. It aimed to enhance operational cooperation and validating capabilities. 1 July 2014: French Foreign Minister Laurent Fabius visited India on 30 June-1 July. On his visit he extended an offer of up to 1 billion euros to India in credit to fund its sustainable infrastructure and urban development projects. 19 November 2014:Ambassador Richier participated in the opening ceremony of the 4th Bengaluru Space Expo 2014, celebrating 50 years of Indo-French cooperation in space. He stressed that such a long-standing partnership is based on a common vision and space activities conducted in France and India at the service of humanity. 27 November 2014:The French government decided to ease visa procedures for Indian visitors. Indians travelling to France would be able to get the tourist and business visas within 48 hours of applying, making travelling to the country much easier. 10 May 2014: In a joint statement after their meeting in Stralsund, German Chancellor Angela Merkel and French President Hollande warned Russia that it would face tough sanctions if it did not help defuse the crisis in Ukraine, including taking “visible steps” to pull back its troops from Ukraine’s border. 31 August 2014: In an indication of Germany’s growing role on the world stage, the country’s top politicians approved the delivery of thousands of machine guns and hand grenades, as well as hundreds of anti-tank missiles, to Kurdish forces battling Islamic militants in Iraq. 17 November 2014: Chancellor Merkel abandoned her traditionally cautious tone, castigating Russia for its actions in Ukraine, for intimidating sovereign states in Eastern Europe and for threatening to spread conflict more broadly across Europe. 7 February 2014: German President Joachim Gauck visited India from 4-9 February. The visit was important from the point of view of India’s growing involvement on the world stage, and support of both India and Germany to each other for permanent seats in an expanded United Nations Security Council. 8 September 2014: German Foreign Minister Frank Walter Steinmeier visited India. During the visit he expressed Germany’s strong desire to work with the new Indian government and further deepen and expand bilateral relations. 12 November 2014: The Third Indo-German Investment Summit was held in Berlin. The primary focus was the continued intensification of economic relations between the two countries. 1 January 2014: India cancelled a $753m (£455m) helicopter deal with Italian defence giant Finmeccanica after allegations of corruption. The deal for 12 three-engine AW-101 helicopters was signed in February 2010 after the company beat off competition from US and Russian rivals. 10 June 2014:Italy rejected India’s claim to jurisdiction in the case of two Italian marines accused of killing two Indian fishermen and warned that it would seek international arbitration if an agreement was not reached with the new government over the issue. 5 August 2014: The Modi government put on hold all procurements from Italian defence group Finmeccannica and its affiliate companies pending an opinion from the Attorney GSeneral. Finmeccannica is the parent company of the UK-based AugustaWstland with which India cancelled the VVIP helicopter deal on 1 January 2014. 1 March 2014: Russian lawmakers gave President Putin the go-ahead to use Russian troops in Ukraine. 4 March 2014:President Putin declared the scheduled end of surprise military exercises that he ordered in Western Russia near Ukraine’s border. The manoeuvres involved 150,000 troops, as well as air and naval forces and live-fire demonstrations in several Russian bases. 6 March 2014:The Crimean parliament voted in favour of joining Russia and its pro-Russian government announced that a referendum would be held on the decision on 16 March. 15 March 2014:Russia vetoed a UNSC resolution that declared the planned referendum on secession in Crimea illegal, casting the sole vote against it, while China abstained. 17 March 2014: With 100 percent of the ballots counted, an overwhelming 96.77 percent of Crimeans voted to secede from Ukraine and join Russia, the referendum commission said. 18 March 2014:President Vladimir Putin signed a treaty to add Ukraine's breakaway region of Crimea to Russia, expanding the country for the first time since the Soviet collapse, despite the threat of Western reprisal. 19 March 2014:Russia consolidated control over Crimea as its troops stormed Ukraine’s naval headquarters in Sevastopol. The move created uproar in the international community, with western countries denouncing the annexation as illegitimate, imposing sanctions on Russia and promising further measures. 28 March 2014:President Putin reached out to US President Obama to discuss ideas about how to peacefully resolve the international stand-off over Ukraine. The two leaders agreed to have their top diplomats meet to discuss concrete proposals for defusing the crisis. 25 July 2014:Russia increased its direct involvement in fighting between the Ukrainian military and separatist insurgents, moving more of its own troops to the border and preparing to arm the rebels with ever more potent weapons, including high-powered Tornado rocket launchers, American and Ukrainian officials said. 7 August 2014:Russia retaliated for Western sanctions against Moscow, announcing that it was banning imports of a wide range of food and agricultural products from Europe and the US, among others. 3 September 2014: President Vladimir Putin issued seven point peace plan for eastern Ukraine, calling on the Russian-backed insurgents there to "stop advancing" and urging Ukraine to withdraw its troops from the region. 21 September 2014: In a first large-scale protest against President Putin, thousands of Russians marched through Moscow in an anti-government demonstration criticising President Putin for what they saw as his warmongering in Ukraine. 23 September 2014:The head of Russia’s Black Sea fleet said that Russia would construct a second naval base on the Black Sea and reinforce its fleet with 80 warships to ward off what it sees as an increasing NATO presence in the waters around the Crimean Peninsula. 11 November 2014: Russia agreed to build two new nuclear power reactors in Iran, with a possibility of six more after that, in a deal that expanded nuclear cooperation between the two countries. 1 December 2014:While announcing new military exercises, Russia accused NATO of destabilising northern Europe and the Baltics by carrying out drills there. Russia announced that it would hold more military exercises in 2015— including one in the central military district that includes Moscow, and another involving Belarus. 26 December 2014:The Military Doctrine 2014, signed by President Putin, elaborated on external, internal and main military threats to Russian federation. The new doctrine was a revision of Russia's last doctrine, published in February 2010. 6 March 2014:India appeared to back Russia in the Ukrainian crisis as a statement by National Security Adviser Shivshankar Menon said that there were “legitimate” Russian and other interests involved. 18 March 2014: President Vladimir Putin thanked India for taking a “restrained and objective” stand on Russia’s muscle flexing in Ukraine. Addressing a joint meeting of the Russian Parliament on the occasion of Crimea’s reunification with Russia President Putin singled out China and India as the countries that showed understanding of Russia’s role in the Ukraine crisis. 19 March 2014: With Russia facing sanctions from the US and some other countries after it annexed Crimea from Ukraine, India made it clear that it would not support any “unilateral measures” against Russian government. 9 June 2014: The road map for the third and fourth units of the Kudankulum nuclear power plant would be ready by July 2014, said Sergei Kiriyenko, director general of Rosatom at Atomexpo 2014 in Moscow. He added that the Asia-Pacific market was emerging as priority area for the nuclear industry of Russia. 18 June 2014: During the talks between External Affairs Minister Sushma Swaraj and visiting Russian deputy Prime Minister Dmitry Rogozin, India strongly objected to the proposed sale of Mi-35 Russian military attack helicopters to Pakistan. 15 July 2014:India and Russia commenced naval manoeuvres in the Sea of Japan. A Defence Ministry statement said that the two countries, which were fielding an impressive array of warships and aircraft during the Indra-14 exercise, would work together to check piracy, render assistance to ships in distress and counter the threat from submarines. 15 July 2014:Prime Minister Narendra Modi met Russian President Vladimir Putin on the sidelines of BRICS Summit in Brazil. Hailing Russia as “our country’s greatest friend,” Prime Minister Narendra Modi told President Vladimir Putin that India was committed to deepening ties and cooperation between the two countries. 25 August 2014: With the aim to bolster ties between Indian Air Force (IAF) and Russian Federation Air Force (RFAF), Exercise Avia Indra-2014 commenced at Astrakhan region near the Caspian Sea. 5 November 2014: The 20th session of India-Russia Inter-Governmental Commission (IRIGC) was held in New Delhi. During the session, India and Russia agreed on negotiations for a Free Trade Agreement (FTA) between India & the Customs Union of Belarus, Kazakhstan & Russia. 5 November 2014: Deputy Prime Minister Rogozin also co-chaired the 8th India-Russia Forum for Trade and Investments, an active business forum between the two countries, along with the Minister of State for Commerce & Industries Nirmala Sitharaman. Commerce and Industry Minister demanded greater market access in Russia for Indian pharmaceutical, automotive, textile and value-added farm products and invited Russian businessmen to explore with an open mind investment opportunities in India. 17 November 2014: An 18 member Russian Air Force team arrived at Air Force Station Halwara in Punjab for the second phase of Avia Indra-2014 exercises. 11 December 2014: Russian President Vladimir Putin visited India on 11-12 December 2014. Unitedly opposing economic sanctions that do not have the UNSC’s approval, India and Russia sought to strengthen their “special strategic partnership” by announcing a clutch of agreements in various fields. 11 December 2014: A strategic vision document on nuclear power signed by Russia and India said that both sides would strive to complete the construction and commissioning of “not less than 12 units” of nuclear reactors in the next two decades, in accordance with the 2008 agreement. 11 December 2014: In their joint statement, Modi and Putin agreed to step up efforts to enhance bilateral trade, setting a turnover target of US$ 30 billion by 2025. In this context, the two sides decided to work towards enhanced cooperation in “oil and gas sphere”, and said they would study the possibilities of building a hydrocarbon pipeline system connecting Russia with India. 21 March 2015: At a meeting between Indian Defence Minister Manohar Parrikar and visiting Russian Defence Minister Sergei Shoigu, India and Russia decided to fast-track joint military programmes, including the proposed joint development and production of the fifth-generation fighter aircraft (FGFA), which has been stuck for the last three years now. 1 April 2014: Prime Minister Shinzo Abe discarded the ban on export of weapons and military hardware, in a move aimed at helping Japan assume a larger regional security role in order to offset China’s growing military might. 11 April 2014: The Japanese cabinet approved a new Japanese Strategic Energy Plan. The plan comprehensively addressed the future of Japanese nuclear energy policy and sets a new agenda for the industry. 15 May 2014:A government advisory panel recommended that constitutional restrictions on the military be eased to allow Japanese forces to come to the aid of allied nations under attack. The panel called on Japan to adopt a new legal interpretation of its war-renouncing Constitution that would permit an expanded role for its military, the Self-Defence Forces. 25 May 2014:In a display of growing territorial tensions between China and Japan, the Japanese Defence Ministry said that Chinese jet fighters had flown dangerously close to two of its reconnaissance planes in overlapping air defence zones claimed by both nations. 1 July 2014: Japan’s prime minister announced a reinterpretation of the country’s pacifist Constitution. The revision would allow the military to come to the aid of friendly countries under attack, including the United States. 1 August 2014:Japan gave names to five uninhabited islets in an island group at the centre of a territorial dispute with China as part of efforts to reinforce its claims, drawing quick condemnation from Beijing. 5 August 2014:Japan's Ministry of Defence released its annual White Paper. The Paper discussed territorial disputes and President Abe's interpretation of the Constitution, to build up the military for collective self-defence. The Paper also provided snapshots of Japan's military relations with individual countries like the United States and how the Militaries compare by investments and capabilities. 28 October 2014: Japan moved closer to a return to nuclear power, more than three years after the Fukushima disaster, after a town in the country’s south-west voted to approve two reactors coming back online. Nineteen of 26 assembly members in Satsumasendai, located 600 miles south-west of Tokyo, voted in favour of restarting the Sendai nuclear power plant. 14 January 2015: Japan announced its biggest ever defence budget in response to China’s increasing military influence in the region and Beijing’s claims to a group of disputed islands administered by Tokyo. The 4.98 trillion yen (US$ 42bn) budget approved by the cabinet was up 2% from 2014 and marked the third straight increase after more than a decade of cuts. 3 February 2015: As the shock from the beheadings of two Japanese hostages by the Islamic State faded, a battle to gain political advantage from their deaths began. Prime Minister Shinzo Abe called for the unshackling of Japan’s military, while the opposition accused him of having provoked the crisis. 6 January 2014: Chief Representative of the New Komeito Party Natsuo Yamaguchi indicated that the path ahead with regard to a civil nuclear accord with India was still not smooth and India should make concessions keeping in mind Japanese sensitivities. He assured India of a “flexible approach from the Japanese side” if it addressed some “areas of concern” such as non-proliferation, CTBT, etc. 6 January 2014: Defence Minister A K Antony met Japanese Defence Minister Itsunori Onodera in Delhi and discussed some aspects of hi-tech cooperation including the proposal to assemble in India a Japanese dual-use plane. The two countries resolved to continue their defence consultation and cooperation, including in maritime security. 14 January 2014: The Indian and Japan Coast Guards conducted a joint exercise — Sahayog-Kaijin 2014 — off Kochi. Terming the exercises successful, Admiral Yuji Sato, the Commandant of the Japan Coast Guard, said Japan Coast Guard intended to step up collaboration with its Indian counterpart. 27 January 2014: The first formal security dialogue between the Indian and Japanese National Security Advisers took place in New Delhi. The issues discussed ranged from regional issues like growing might of China and disputed South China Sea to North Korea and defence cooperation between the countries. 30 August 2014: Prime Minister Narendra Modi visited Japan from 30 August-3 September 2014. The two leaders exchanged views on the developments in the region and the world. 1 September 2014: Japan pledged to invest Rs. 2.1 lakh crore ($35.5 billion) in a wide spectrum of projects in India over five years. These include infrastructure, clean energy and skill development. 2 September 2014: Addressing a 2,000-strong gathering at a seminar organised by the Japan External Trade Organisation (Jetro) and Nikkei, Prime Minister Modi during his visit to Japan said India was attractive to Japan on account of three Ds — democracy, demography and demand. 23 September 2014: During the meeting between Urban Development Minister Venkaiah Naidu and Japanese Minister of land, infrastructure, transport and tourism Akihiro Ohta in New Delhi, Indian government sought Japan’s assistance in multi-modal transport solutions encompassing metro rail, monorail and light rail transport for urban areas, including intelligent transport solutions for proposed smart cities. 5 November 2014:Former Prime Minister Manmohan Singh was conferred with one of Japan’s top national awards for his significant contribution to Indo-Japanese ties, becoming the first Indian to receive the honour. 10 November 2014: Japanese State Minister for Finance Yasutoshi Mishimura said that the Indian government must roll out economic reforms, build up infrastructure and cut red tape if the $35 billion promised during Prime Minister Narendra Modi’s visit to Japan were to be actualised. 20 December 2014: Senior diplomats of India, Japan and US met in New Delhi for trilateral talks and discussed modalities of holding a trilateral dialogue among External Affairs Minister Sushma Swaraj, Japan’s Foreign Minister Fumio Kishida and US Secretary of State John Kerry in 2015.The diplomats of India, Japan and US focused on prospects of greater Indo-Pacific commercial connectivity, issues of regional and maritime security and cooperation in multilateral forums. 17 January 2015: During his visit to India, Japan’s foreign minister Fumio Kishida said Tokyo wants to inaugurate a new Indo-Pacific relationship. He proposed three bridges that link the two nations. The first was ‘values and spirits’ – which included democracy, freedom, open economy and the rule of law; second, a vibrant economy and open and stable seas; and third, global issues like UNSC reform and terrorism. 30 March 2015: At the annual defence dialogue in Tokyo between defence minister Manohar Parrikar and his Japanese counterpart Gen Nakatani took a slew of decisions to strengthen defence ties. Sources said the two sides discussed the proposed exchange of maritime information setting stage for reciprocal exchange of shipping information and data in the Indian Ocean and South China Sea. 20 January 2014: Chinese Foreign Minister Wang Yi put forward five principles for a political settlement of Syrian issue during a press briefing in Beijing. He said that future of Syria must be decided by its own people. Efforts must be made at domestic, regional and international levels and the political transition process in Syria must be Syrian-led. 6 February 2014:President Xi visited Russia to attend the opening ceremony of 22nd Winter Olympics in Sochi and met with Russian President Putin. Both the leaders held talks in a bid to further advance bilateral ties and exchanged views on pushing forward cooperation in people-to-people exchanges, as well as on major international and regional issues. 14 February 2014:Chinese President Xi Jinping met with US Secretary of State John Kerry and pledged China’s commitment to a new model of China-US relations. For his part, Secretary of State said that taking an updated approach to the relationship between great powers was very important for US as well. 5 March 2014: China announced a defence budget of $132 billion, a 12.2% hike for 2014. It was more than last year’s 10.7% increase in the defence outlay. 6 March 2014: China would complete the extension of the high-altitude Qinghai-Tibet railway line to Shigatse, a town near the Nepal border, by October 2014, officials said. The line would reduce the travel time from Lhasa to the border town to only two hours from over five hours, enabling China to move resources more quickly to remote Tibetan areas. 24 March 2014: In his speech at the Nuclear Security Summit at The Hague, President Xi said that enhancing nuclear security was a never-ending process. He said that countries must follow a sensible, coordinated and balanced approach to nuclear security and put it on the track of sound and sustainable development. 16 April 2014: The P5 conference on nuclear cooperation was held in China. The Chinese vice foreign minister Li Baodong highlighted five aspects of global nuclear governance at the conference: universal security as the fundamental goal, leadership role of the P5 states as a major driving force, multilateral mechanisms as the central content, balanced progress and consensus as the basic principle, and broad participation as the critical guarantee. 21 May 2014:China and Russia signed a $400 billion gas deal, giving Moscow a mega-market for its leading export and linking two major powers closer. The deal was signed during the Russian President’s visit to China. 9 June 2014:Chinese naval forces participating in the Rim of the Pacific (RIMPAC) multinational naval exercises organised by the U.S. Navy left port. This was the first time that China was participating in RIMPAC. The Chinese fleet joined naval forces from Singapore, Brunei and the United States in waters off Guam and then sailed to Hawaii for RIMPAC. 18 June 2014:Chinese State Councillor Yang Jiechi held a meeting with Vietnamese Deputy Prime Minister in Hanoi. The two countries pledged to rein in maritime tensions during the highest-level direct contact. 28 June 2014:In his speech at the ceremony commemorating the 60th Anniversary of Five Principles of Peaceful Coexistence, President Xi Jinping said China would never seek hegemony no matter how strong it becomes. He said China was probably the first among all rising powers to highlight peaceful coexistence and non-interference in internal affairs. 1 August 2014:The Chinese Foreign Ministry said that Japan's unilateral decision to name China's Diaoyu Islands was "invalid" as it persisted in fuelling lingering territorial tensions. The Japanese Cabinet had announced on 1 August that the government had given names to "158 unnamed remote islands", including islands in the Diaoyu group. 9 August 2014: Foreign Ministers of China and ASEAN reached consensus to further deepen strategic partnership between China and ASEAN, Chinese Foreign Minister Wang Yi said at the 47th ASEAN Foreign Ministers Meeting in Myanmar. 1 October 2014:Chinese Foreign Minister Wang Yi during his visit to US expressed the hope that China and US would enhance mutual trust, expand cooperation and avoid misjudgement. 13 October 2014: During the 19th China-Russia Prime Ministers' Regular Meeting in Moscow between Chinese Premier Li Keqiang and his Russian counterpart, Dmitry Medvedev, China and Russia further consolidated their partnership by signing New Cooperation Blueprint.The three-year agreement, extendable on mutual consent, was expected to facilitate bilateral trade and direct investment between the two countries. 24 October 2014:China led 21 Asian nations, including India, in forming a multilateral financial front in the form of the Asian Infrastructure Investment Bank (AIIB), being seen as a challenger to the U.S.-backed Bretton Woods institutions. 12 November 2014:During President Obama’s visit, Beijing and Washington strove to narrow differences by reaching landmark agreements on a flurry of issues that had remained points of tension between them. The agreements, mainly on climate change, military cooperation and trade, underpin the major sectors where the world's two largest economies would improve cooperation, analysts said. 17 November 2014:China and Australia upgraded their diplomatic ties to a comprehensive strategic partnership and concluded their negotiations on a free trade agreement (FTA). 20 November 2014:China and New Zealand decided to lift their relations to a comprehensive strategic partnership, said a joint statement. The two countries promised to continue to implement the comprehensive and high-quality FTA and fully utilise cooperation mechanisms such as the Joint Trade and Economic Commission, the statement said. 23 November 2014: During the visit to Fiji, President Xi agreed to inject a further 70 million yuan ($11.4 million) of aid money into Fiji as he wrapped up talks on 23 November. 7 December 2014: The Chinese foreign ministry released a position paper of the government on the matter of jurisdiction in the South China Sea arbitration initiated by the Philippines. The Position Paper reiterated its firm stand that Chinese Government would neither accept nor participate in the arbitration, and elaborated at length on the legal basis for its position that the Arbitral Tribunal does not have jurisdiction over this case. 22 December 2014: A draft National Security Law was tabled during the session of the Standing Committee of the National People's Congress. The draft defined "national security" as a condition in which a country's government, sovereignty, unification and territorial integrity; the well-being of its people; the sustainable and healthy development of its economy and society; and other major interests were relatively safe and not subject to internal and external threats, as well as the capacity to safeguard and ensure the sustainability of such a secure condition. 23 January 2015: Political Bureau of the Communist Party of China Central Committee convened for a meeting on security issues and adopted national security strategy guidelines. They set out national security priorities and warned that the country faced daunting domestic and external dangers. 5 March 2015: China set its 2015 defence budget at 886.9 billion Yuan (US$144.2 billion), a 10.1 percent rise year on year and its lowest in 10 years. 10 February 2014: The fifth meeting of the Working Mechanism for Consultation and Coordination on India-China Border Affairs held in New Delhi reviewed recent developments, especially in the Western Sector (the Ladakh region). 11 February 2014: 17th Special Representative Talks on the Boundary issue were held in New Delhi on 10-11 February 2014. India and China discussed additional confidence-building measures such as early implementation of the BDCA as well as the core issue of a framework agreement for sorting out the border issue. The highlight of the two-day SR interaction was an exchange of views on what framework was acceptable for moving over to the third and final phase of settling the border question. 24 February 2014:The Sixth Annual Defence Dialogue was held in New Delhi. China surprised India by offering to send its Defence Minister Chang Wanquan in the second half of 2014 to maintain the momentum of talks on the border issue and foster understanding between the two defence establishments. 20 March 2014:China's President Xi Jinping said that he saw improving relations with India as his “historic mission”, as the top Chinese leader met with the Indian envoy in Beijing. The Indian Ambassador to China Ashok Kantha, who began his term in January, formally presented his credentials to President Xi at Beijing's Great Hall of the People. 22 April 2014: PLA Army team lead by Deputy Chief of General Staff (Operations) Lt. Gen. Qi Jianguo met with its Indian Army counterparts, led by Vice Chief of Army Staff Dalbir Singh Suhag and discussed the prospects of installing hotlines and increased interaction between the two armies at various levels, including operational commanders, command and general headquarters. 25 April 2014: Indian Navy's INS Shivalik left Qingdao port after a six-day stay in China. Both countries declared that the missile frigate's visit had gone a long way in deepening strategic trust between two navies that are increasingly coming into contact on the high seas. 29 April 2014: The 6th round of Working Mechanism for Consultation and Consultation on China-India Border was held in New Delhi. India and China continued the latest round of talks to boost military cooperation and to “enhance” coordination on border-related affairs. 7 May 2014:Army chief General Bikram Singh tracked the progress made in setting up a new mountain strike corps to counter China in the eastern sector.The corps would give India the capability to mount offensive action into the Tibet Autonomous Region. 8 June 2014: Chinese Foreign Minister Wang Yi visited India from 8-9 June 2014. India and China discussed all “perennials” of their engagement, including the border issue and economic ties, in Beijing’s first interaction with the Modi administration in New Delhi. 8 June 2014: Chinese Foreign Minister Wang Yi and External Affairs Minister Sushma Swaraj discussed the next steps on the long-standing border row as well as a road map for all the upcoming meetings between high-level Indian and Chinese dignitaries in the 2014, a year designated as the China-India Year of Friendly Exchanges. 8 June 2014: Laying down fresh rules of engagement with China, External Affairs Minister Sushma Swaraj made it clear to her Chinesecounterpart Wang Yi during his visit that while the new BJP government supports Beijing’s ‘One China’ policy, it would also expect China to adopt a ‘One India’ policy. 9 June 2014: Chinese Foreign Minister Wang Yi said Beijing resorted to stapled visas for residents of Arunachal Pradesh as a “goodwill” gesture so as to facilitate their “outbound and overseas travel”. 27 June 2014: At the 60th commemoration of the Panchsheel in Beijing, India reciprocated its commitment to Panchsheel with Vice-President Hamid Ansari calling attention to the need for greater interaction between the people of India and China in all fields for stronger bilateral relations. 30 June 2014: India and China signed three bilateral agreements, which included the setting up of industrial parks and increasing the sharing of flood water data from the Brahmaputra river. The memorandum of understanding (MoU) on industrial parks provides an “enabling framework” for Chinese companies to set up manufacturing units at industrial parks in India. 3 July 2014: Army Chief General Bikram Singh visited China from 2 to 5 July 2014. India and China agreed in principle to increase military-to-military contacts to ensure incidents of incursion like the one in Depsang in Ladakah in 2013 not put the fragile peace along the Sino-Indian border at risk. 14 July 2014: Chinese President Xi Jinping sought a negotiated settlement of India-China border dispute during his first meeting with Prime Minister Narendra Modi on the sidelines of the BRICS summit at Fortaleza in Brazil. President Xi said he was willing to work with Prime Minister Modi to enhance the China-India strategic and cooperative partnership to a higher level. 18 July 2014: The PLA Daily reported that PLA began distributing new “battle maps” to troop units in western border regions — including the disputed Aksai Chin area — in an effort to enhance patrolling to bolster Chinese territorial claims. 15 August 2014:Chinese President Xi Jinping cleared the second rail link to Tibet close to Sikkim near the Indian border, increasing mobility of Chinese troops in a region where India doesn't have corresponding facilities. The imposing plan involves doubling the length of highways and railway lines in the Tibetan Autonomous Region from 48,678 km in 2013 to 110,000 km by 2020. 10 September 2014: Indian and Chinese border security forces were involved in a face-off in eastern Ladakh sector. The face-off started around the Line of Actual Control (LAC) in the Chumar sector of eastern Ladakh, an area which has seen a big increase in Chinese activity in 2014. 17 September 2014: Chinese President Xi Jinping visited India from 17 to 19 September 2014. Indian and Chinese business received a $3.4 billion boost, with companies from both countries signing 24 contracts for supply of equipment and services. The MoUs were signed in areas of aircraft leasing and financing, telecom, chemicals, wind power components, cotton yarn and fabric, synthetic fibre and seafood. 26 September 2014: India and China began pulling back troops locked in two weeks face-off in Chumar. The standoff ended after the external affairs ministers of the two countries met in New York on the sidelines of the UNGA’s meeting. 17 October 2014:During the Working Mechanism for Consultation and Coordination on India-China Border Affairs special meeting in Delhi, India and China decided to implement additional confidence building measures including regular interaction between the Army headquarters and field commands of the two sides, additional border personnel’s meeting points and more telecommunication linkages. 2 November 2014:Sri Lanka allowed a Chinese submarine and a warship to dock at its port in the capital Colombo, despite concerns raised by India about China's warming relations with the Indian Ocean island nation. 17 November 2014:With the aim of getting acquainted with each other’s operating procedures in counter-terrorism, Indian and Chinese armies began their fourth joint training exercise, Hand-in-Hand, in Pune. 26 January 2015: China reacted coldly to strong indications that US would back India for a membership of the Nuclear Suppliers Group, with the Chinese foreign ministry spokeswoman Hua Chunying cautioning that any such move "requires very careful consideration from all member countries". 3 February 2015: Russia and China endorsed India’s efforts to formalise an iron-clad rejection of international terrorism, amid a call by the three countries to end the era of a unipolar world and rid the globe of the threat of “regime change.” At the end of their day-long deliberations in Beijing, the foreign ministers of the Russia-India-China (RIC) grouping issued a comprehensive joint communiqué that called for an ambitious reform of an international system that was respectful of the diversity of home-grown political systems. 8 February 2015: India’s National Security adviser, Ajit Doval and China’s State Councillor, Yang Jiechi, met in Munich. Their talks focussed on ways to resolve the Sino-Indian border issue ahead of Prime Minister Narendra Modi’s visit to China in May 2015. 20 February 2015: China expressed its “diametrical opposition” to Prime Minister Narendra Modi's visit to Arunachal Pradesh. Chinese Foreign Ministry spokesperson Hua Chunying said that China had lodged “strong representation with India”. 24 March 2015:India and China agreed to keep peace and tranquillity along their disputed border, as top delegates from India and China met in New Delhi for the 18th round of Special Representative Talks in an attempt to create a framework for resolving territorial disputes. 9 February 2014:The Taliban Shura finalised a 15-point draft for negotiations with the government. The points included stopping of drone attacks; introduction of Sharia laws; introduction of Islamic system of education in public and private educational institutions; withdrawal of army from tribal areas etc. 17 February 2014:Chief of Army Staff Raheel Sharif and Chairman Joint Chiefs of Staff Committee Gen. Rashad Mahmood held meeting with the visiting Saudi Crown Prince Salman bin Abdul Aziz and discussed defence related issues. It was agreed that both the countries would share counter-terrorism intelligence. 19 February 2014: TTP put forth their conditions for ceasefire, days after the group killed 23 army soldiers. TTP spokesperson said that a ceasefire may be reached if the government ensures that their demand, that killing and dumping of TTP members would be immediately stopped would be met. 21 February 2014: As the peace talks faltered after a string of attacks, TTP told the government that there was no chance of peace in the country unless Pakistan changed its political and legal system and officially embraced Islamic law. 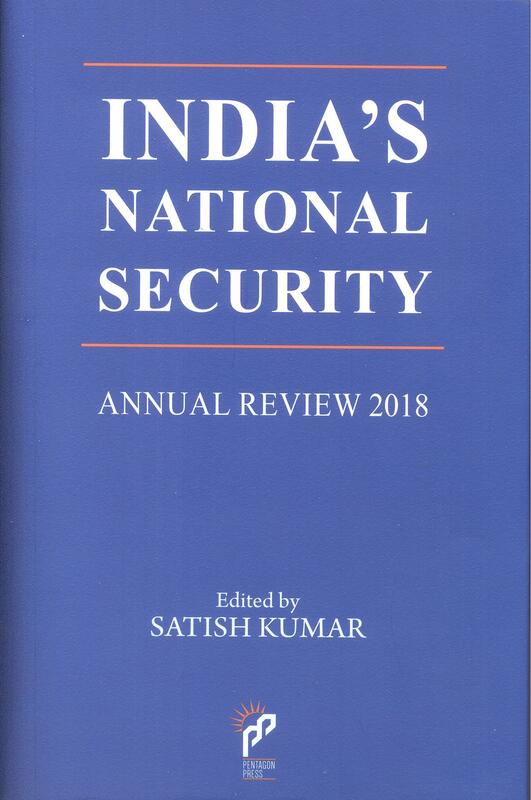 23 February 2014: According to the draft of National Internal Security Policy 2013-18 prepared by Interior Ministry, Pakistan was the most affected country from terrorism in the world after Iraq, but if the severity of incidents was considered, it surpasses the Middle Eastern nations. 25 February 2014: The federal cabinet approved national security policy. The mainstay of the policy was the setting up of a joint intelligence directorate and conversion of National Counter-terrorism Authority into a powerful decision making body. 17 March 2014: Advisor to Prime Minister on National Security and Foreign Affairs Sartaj Aziz informed the Senate’s foreign affairs committee that Saudi Arabia has gifted US$ 1.5 billion to Pakistan and that Pakistan would not send arms to Syria or to any other country. 26 March 2014: The first round of direct peace talks between TTP Shura and government’s negotiators commenced at an undisclosed location in North Waziristan. The government’s representatives demanded TTP to declare indefinite ceasefire and release of eminent prisoners. 27 March 2014: The peace talks with TTP hit a stalemate because of the militant organisation’s conditions for continuing the talks. Conditions included creation of a demilitarised peace zone in mountainous Shaktoi, South Waziristan to allow freedom of movement and the release of non-combatants. 31 March 2014:The special court constituted to try former military ruler Pervez Musharraf for high treason indicted him. The indictment cited imposition of November 2007 emergency as one of the charges which lead to the violation of Article 6 of the Constitution. Gen. Musharraf pleaded “non-guilty” on all charges. 20 April 2014: Two-week long Pak-China Joint military exercise “Peace Angel 2014” commenced near Rawalpindi. The exercise was aimed at sharing mutual experience and information in medical field through comprehensive training programme. 22 April 2014: Pakistan conducted a successful test-fire of short range surface to surface ballistic missile Haft II which can carry nuclear and conventional warheads to a range of 290 kms. 27 April 2014: Pakistan received its first batch of F-16 fighter jets from Jordan. Pakistan had signed a contract with Jordan for supply of 13 jets out of which five were delivered and inducted into Pakistan Air Force fleet. The inclusion of 13 jets would take strength of PAF F-16s to 76. 24 May 2014: Pakistan and China began their third joint air exercises, code named Shaheen III, at an operational base in Pakistan. This was third in the series of multidimensional joint air exercises and would provide opportunity to combat crews to accustom themselves with latest concepts and practices. 27 May 2014: Nawaz Sharif met newly elected Indian Prime Minister Narendra Modi in Delhi. Prime Minister Sharif stressed upon strengthening of shared values and customs, saying that poverty and illiteracy should be removed from the region. 2 June 2014: Russia lifted its embargo on arms supplies to Pakistan and was holding talks on supplying combat helicopters to Islamabad. 3 June 2014: The government announced an 11 percent increase in defence spending for the next fiscal year. The government allocated Rs 700 billion against the revised amount of Rs 629.5 billion. 12 June 2014: The government disclosed that financing and development of Gwadar International Airport had been taken over by China and that the civil aviation authority would not be involved with the process. 15 June 2014: Pakistani Army launched a comprehensive operation against the foreign and local terrorists hiding in sanctuaries in North Waziristan tribal region. The operation has been named Zarb-e-Azb. 8 July 2014: An operational agreement on the Tapi gas pipeline was signed by Turkmenistan, Afghanistan, Pakistan and India. According to preliminary breakdown, Pakistan and India would each get about 42 percent of gas and Afghanistan rest. 4 August 2014: Pakistan demanded handing over of the TTP chief, Maulvi Fazlullah from Afghanistan. Sartaj Aziz said that terrorist attacks from Afghan soil were a serious issue and Pakistan was in touch with Afghan authorities for better management of border. 14 October 2014: Six top commanders of TTP announced their allegiance to Abu Bakr al-Baghdadi of IS. TTP spokesperson Sahidullah Shahid in the statement said he along with five TTP district chiefs have announced their allegiance to IS and would be their lead fighters in Pakistan. 22 October 2014: Pakistani and Iranian officials met in Tehran and agreed on intelligence cooperation at the porous border between neighbouring countries. The meeting was called in the wake of flare-up at the 900 km border and with the objective of avoiding any untoward incidents in future. 8 November 2014: Pakistan and China signed 19 agreements and MoUs to further boost the bilateral ties between the two countries in various fields, including energy and basic infrastructure sectors. 14 November 2014: Afghan President Ashraf Ghani visited Pakistan on a two day official trip for important talks on key security issues and to expand economic ties with Pakistan. 17 November 2014: Pakistan conducted a successful test launch of intermediate range Hatf IV (Shaheen 1-A) ballistic missile which is capable of carrying nuclear and conventional warheads to a range of 900 kms. 9 December 2014: The 23rd meeting of US-Pakistan Defence Consultative Group was held in Washington. The talks focused on post-2014 US military strategy for the Pak-Afghan region and on Pakistan’s campaign to eradicate terrorism. 16 December 2014:The Peshawar Army Public School was attacked by TTP, the deadliest terror attack in the country’s history, where 131 school children and 10 other people were killed. The attack was claimed by TTP’s splinter group Jamaat-ul Ahrar. 22 December 2014:President Obama signed a bill into law providing an extension in the Coalition Support Fund for Pakistan for another year. The bill also assured continued US support to Afghanistan after withdrawal of foreign forces. 24 December 2014: Political parties approved the 20-point National Action Plan against terrorism as a “comprehensive policy”. Under the NAP, the army would establish courts for speedy persecution of terrorism suspects, train personnel of law-enforcement agencies to strengthen the counterterrorism apparatus, intensify the ongoing operation in Karachi and aid efforts for political reconciliation in Balochistan. 6 January 2015:The National Assembly adopted the 21st Constitutional Amendment unopposed after 242 members of National Assembly voted in favour of the law aimed to set up constitutionally protected military courts to try civilian terrorism suspects. Members belonging to Jamaat-e-Islami and Jamait Ulema-i-Islam-F abstained from voting. 2 February 2015:The Obama administration asked the US Congress to provide more than $1 billion in civilian and military aid to Pakistan, including a six-fold increase in foreign military financing. 9 February 2015:The first round of China-Afghanistan-Pakistan Trilateral Strategic Dialogue was held in Kabul. Pakistan and China reiterated support for the Afghan-led and Afghan-owned peace and reconciliation process. 23 February 2015:The federal cabinet approved Pak-China Economic Corridor. Approval was also given for starting negotiations with Beijing for importing 1000 megawatts of electricity from China by laying a new transmission line. 9 March 2015: China agreed to supply new technology nuclear reactors for a plant being planned in Karachi. The ACP-1000 reactors to be supplied by China would be used to produce 1100 MW each. 9 March 2015:Pakistan conducted a successful test fire of Shaheen III surface to surface ballistic missile, capable of carrying nuclear and conventional warheads to a range of 2750 kms. 13 March 2015: The army tested, for the first time, its pilotless drone ‘Burraq’ armed with laser-guided ‘Barq’ missile. Both Burraq and Barq have been indigenously developed. 30 March 2015: Pakistan will send troops to Saudi Arabia to give military support to a coalition of mainly of Gulf nations fighting Yemeni Houthi rebels. 30 March 2015:A joint military exercise of Saudi Infantry and Pakistani Special Forces kicked off at King Salman’s Mountain Warfare Centre on Shamrakh field in Saudi Arabia. The exercises focussed on war in difficult mountainous terrain environments and irregular operations. 18 January 2014: India and Pakistan decided to boost trade ties and agreed on measures including Non-Discriminatory Market Access (NDMA) on reciprocal basis apart from keeping Wagah-Atari border open round the clock. 12 February 2014:Commerce and Industry Minister Anand Sharma cancelled his visit to Pakistan as Pakistan failed to deliver on a bilateral trade pact signed in January 2014. 30 April 2014:Slamming Pakistan for not taking action against LeT, US Congress Report on Counter-terrorism said India remained severely affected by and vulnerable to terrorism, including from Pakistan based groups. 30 April 2014:Pakistan Army Chief Gen. Raheel Sharif described Kashmir as the "jugular vein" of his country, saying the issue should be resolved in accordance with the wishes of Kashmiris and in line with UNSC resolutions for peace in the region. 18 May 2014:Sepoy Bhikale Uttam Balu of the 2 Maratha Light Infantry (MLI) was killed and two others injured in an attack along the LoC in Akhnoor. According to sources, a Border Action Team of Pakistan infiltrated almost a kilometre inside Indian territory and planted a mine to target a patrol party of the MLI. 25 May 2014:Pakistan released 151 jailed Indian fishermen in its custody in a sign of goodwill ahead of Narendra Modi’s swearing-in as the Indian prime minister. 27 May 2014:During his meeting with Pakistan’s Prime Minister Nawaz Sharif, Prime Minister Narendra Modi underlined India’s concerns on terrorism, skirmishes on the LoC, and slow progress in the trial of 26/11 perpetrators. 24 June 2014: Pakistan’s Ambassador to US Jalil Abbas Jilani said that India and Pakistan had re-opened back-channel talks following the meeting between the two Prime Ministers in May 2014. The back-channel talks were intended to address terrorism and other issues. 10 July 2014:India’s plans of exporting gas to Pakistan via a pipeline from Jalandhar in Punjab to the Wagah-Attari border got a boost when Finance Minister Arun Jaitley exempted liquefied natural gas (LNG) imports from customs duty if it is meant for onward sale to the neighbouring nation during his Budget presentation. 8 August 2014: Pakistan said the Indian government needs to address its concerns related to "market access, tariff and non-tariff barriers''. India has in the past, accused Pakistan of raising the issue of non-tariff barriers to deny it NDMA. 11 August 2014: Deputy High Commissioner Gopal Baglay was summoned by the Pakistan Foreign Office (FO) and issued a demarche over firing across the Working Boundary in Sialkot sector. The FO said it was the 54th incident of ceasefire violation by Indian troops since July 2014. 20 August 2014: After India called off Foreign Secretary level talks with Pakistan, envoy Abdul Basit expressed hope that the two sides would “overcome the setback” and described the meeting with the separatist leaders as “helpful” interaction with “legitimate stakeholders”. 20 August 2014:India rejected Pak envoy’s contention that Hurriyat is a “legitimate stakeholder”, saying that there were only two “stakeholder” on J&K, India and Pakistan. 22 August 2014:The Indian Army discovered a cross-border tunnel opening almost 50 metres inside India in Pallanwala sector in J&K. Sources said that the tunnel could have been used by terrorists to enter Indian territory from Pakistani side. 26 August 2014:In his address to the UNGA, Pakistan Prime Minister Nawaz Sharif spoke at length about the Kashmir issue. Calling on the UN to implement a “plebiscite” on Kashmir, he said Pakistan could not “draw away” from the Kashmir dispute until it was resolved. 27 August 2014:Pakistan’s effort to internationalise the Kashmir issue earned a sharp rebuke from Prime Minister Modi, who in his UNGA address told the Assembly that it was a pointless exercise when there were so many more pressing issues facing the region and the world. Raising it at UN won’t resolve bilateral issues. 7 October 2014:Indian forces killed 18 terrorists trying to sneak into India from Pakistan, security sources said. A big part of border violence was linked to Islamabad’s design to push disruptive elements and terrorists across the border before snow blocks the passes. 12 October 2014:Pakistan upped the diplomatic ante as it wrote to UN for intervention in J&K. Addressing a letter to UN Secretary General Ban Ki-moon, Pakistan’s Foreign Affairs Adviser Sartaj Aziz said UN had an important role in the peaceful resolution of the "core" issue of J&K. 4 December 2014:JuD chief and 26/11 mastermind Hafiz Saeed kicked off a controversial two-day national congregation aimed at promoting religious tolerance in Pakistan, but which India perceived as a violation of global norms against terrorism. 17 December 2014:The Indian government and Parliament expressed a “sense of deep outrage” and “profound sorrow” over the killing of 132 children and nine others in a Taliban attack on a Peshawar school. The government said it was a “clarion call” for “all those who believe in humanity” to join hands against terror. 19 December 2014:Zaki-ur Rehman Lakhvi was sent to Rawalpindi's Adiala Jail for up to three months, upturning a bail by an anti-terror court. Lakhvi was booked afresh under the Maintenance of Public Order (MPO). 29 December 2014:The Islamabad High Court suspended detention orders against Zaki-ur Rehman Lakhvi, prompting New Delhi to summon Pakistan envoy Abdul Basit to register “strong concern” that “Pakistan remains a safe-haven for terror groups”. 30 December 2014:Zaki-ur Rehman Lakhvi was arrested for kidnapping a man six years ago stalling his release a day after a Pakistani court suspended his detention under a public security order drawing India's ire. 31 December 2014: A Pakistani fishing boat, suspected of carrying explosives, was intercepted by the Coast Guard in the Arabian Sea around midnight but its four occupants blew it up after a nearly hour-long chase, the government said, adding that there was no trace later of either the boat or people on board. 1 January 2015: Pakistani forces targeted at least 12 Indian outposts killing one BSF soldier. Top government representatives said about 100 terrorists were waiting to sneak into Indian side and the Pakistani army was open firing at the border to facilitate the infiltration. 13 January 2015: Interacting with journalists at the annual press conference ahead of Army Day, Gen. Dalbir Singh Suhag said the recent strikes by terrorists not only reflect their desperation but were also a grim reminder that the terrorist infrastructure in Pakistan was intact and its support to the proxy war in Jammu and Kashmir continues unabated in spite of casualties to its own people. .
5 February 2015: JuD took out rallies across Pakistan to mark Kashmir Day with its chief Hafiz Muhammad Saeed presiding over the biggest rally in Lahore. 3 March 2015: Foreign Secretary S. Jaishankar wrapped up talks with his Pakistani counterpart Aizaz Ahmed Chaudhury in Islamabad without any announcements. This was the first such meeting since 2012, and seven months after the last planned foreign secretary talks were cancelled by India. 13 March 2015: Pakistani court declared the detention of Zaki-ur-Rehman Lakhvi illegal and ordered his release, prompting India to summon the country’s High Commissioner. 14 March 2015:Pakistani authorities issued a fresh detention order for Lakhvi. The prime objective of the detention was to prevent Lakhvi from attending any public meeting and potentially regroup with his militant outfit. 19 September 2014: Nepalese government approved the two long-delayed hydropower agreements with India to kick-start economic growth and ease crippling electricity shortages. 21 October 2014: India and Nepal signed the Power Trade Agreement to regulate electricity trade. The eight point agreement would be effective for 25 years and deals with power trade, cross-border transmission line and grid connectivity. 20 February 2015: The First ‘India-Nepal Border Summit’ was organised by the Consulate General of India in Birgunj, Nepal on 19-20 February 2015. The purpose was to bring together the relevant policy-makers, regulators and other stakeholders to dwell upon the barriers and solutions pertaining to ‘Border Harmony’, ‘Security and People’s Movement’, ‘Cross Border Trade’, and ‘Cross Border Tourism’. 5 February 2014: Bangladesh PM Sheikh Hasina promised to launch separate probes into the role of former Premier Khaleda Zia and her party in the country’s biggest weapons haul linked to Indian militant group ULFA. 3 June 2014: Police in North-eastern Bangladesh recovered a huge cache of illegal arms including more than 100 rocket launchers, near the Indian border. 23 June 2014: The Home Ministry scrapped the move to give visa-free entry for Bangladesh nationals under the age of 18 and over the age of 65. The proposal was rejected on the pretext of security concerns. 1 July 2014: External Affairs Minister Sushma Swaraj visited Bangladesh from 25-27 June 2014. The main issues discussed during the visit were: demand for relaxation of some visa rules for Bangladeshi nationals, to increase the frequency of cross-border trains, and a new bus service to be started that would connect Guwahati and Shillong with Dhaka. 8 July 2014: The verdict on the dispute regarding the delimitation of maritime boundary between India and Bangladesh was given thus ending years of uncertainty. With this Bangladesh was awarded around 19,467 sq.km of the total 25,602 sq.km disputed land with India in the Bay of Bengal. 20 August 2014: Major General Aziz Ahmed, Director General, Border Guard Bangladesh led a Bangladesh delegation to India to jointly chair the 39th Border Co-ordination Conference in New Delhi from 20 to 25 August 2014. Both sides agreed to put in joint efforts to curb violence on the border and highlighted the importance of Coordinated Border Management Plan in curbing the menace of trans-border crimes like smuggling of drugs and narcotics. 20 September 2014: The Third meeting of the Joint Consultative Commission of the two countries was held in New Delhi. It reviewed bilateral relations and expressed satisfaction at the settlement of the maritime boundary between the two countries in July 2014. 20 October 2014: The Indo-Bangladesh combined joint military exercise was conducted in Jalalabad Cantonment, Sylhet, Bangladesh from 19-30 October 2014. The exercise is alternately conducted in India and Bangladesh. 23 December 2014: Mohammad Abdul Hamid, President of Bangladesh visited India from 18-23 December 2014, making it the first visit by Bangladesh’s ceremonial Head of State after a gap of 42 years. 19 February 2015: West Bengal Chief Minister Mamta Banerjee visited Bangladesh from 19-22 February 2015 on the occasion of ‘Bhasha Divas’ on 21 February and also met Prime Minister Sheikh Hasina. The two leaders discussed the Teesta water sharing and the ratification of Land Boundary Agreement. 27 January 2014: The first round of talks regarding the Palk Strait conflict between Sri Lanka and India was held in Chennai. The use of high-powered trawlers by the Indian fishermen, otherwise banned in Sri Lanka, remained a contentious issue during the talks. 27 March 2014: India abstained on the Sri Lanka resolution at the UN Human Rights Council, which took place in Geneva, on the pretext that the international probe into human rights abuses was an “intrusive approach” which undermined “national sovereignty”. 18 April 2014:Sudarshan Seneviratne was appointed Sri Lanka’s new High Commissioner to India. 13 October 2014: President Mahinda Rajapaksa re-launched the Yal Devi Express train service from Pallai to Jaffna nearly after 25 years, which was destroyed during the island’s civil war. Indian Railways subsidiary IRCON rebuilt the stretch as part of the Indian government’s $800 million line of credit to restore select railway lines in the island, predominantly in its Tamil-majority Northern Province. 23 November 2014: The Special Forces from India and Sri Lanka participated in a joint combat exercise “Mitra Shakti” at Uva-Kudaoya Commando Regiment Training School, Sri Lanka from 3-23 November 2014. The exercise is alternately conducted in India and Sri Lanka. 8 January 2015:President Maithripala Sirisena was elected as the new President of Sri Lanka. 19 January 2015: Sri Lanka’s Foreign Minister Mangala Samaraweera visited India from 17-19 January. Discussions covered all aspects of bilateral relations between the two countries. 16 February 2015:Sri Lanka and India concluded a civil nuclear cooperation agreement, which is Sri Lanka’s first nuclear partnership with any country. 18 February 2015: Sri Lankan President Maithripala Sirisena’s visited India from 15-18 February 2015. The visit was aimed at mending bilateral relations that had deteriorated under his predecessor, Mahinda Rajapaksa, on account of the latter’s closeness with China. During Sirisena’s visit, India and Sri Lanka signed four agreements that would strengthen bilateral co-operation. 14 March 2015: Prime Minister Narendra Modi visited Sri Lanka from 13-14 March 2015. The visit signalled a new start to India-Sri Lanka ties. The two sides signed four agreements on visa, customs, youth affairs, and building a Rabindranath Tagore memorial in Sri Lanka. India also announced a new line of credit of $318 million for the railway sector. 22 April 2014: India signed an Inter-Governmental Agreement on four Joint Venture Hydroelectric Projects with Bhutan and implementation of the 600 MW Kholongchhu Hydroelectric Project in Bhutan. 16 June 2014: Prime Minister Narendra Modi paid a state visit to Bhutan on 15-16 June 2014. He identified peace, security, conservation and tourism as focus areas for strengthening ties. 17 July 2014: The Double Taxation Avoidance Agreement that was signed in March 2013 between India and Bhutan entered into force. 13 September 2014: The Third India-Bhutan Development Cooperation talks were held at Secretary level in Thimphu from 10-13 September 2014. India approved 48 projects under the Project Tied Assistance (PTA) during the talks. The two sides finalized 84 projects under the PTA in the 11th Plan. 8 November 2014: President Pranab Mukherjee visited Bhutan from 7-8 November 2014. The President launched/inaugurated three Government of India assisted PTA projects, namely the School Reform Program (Rs. 348.72 crores), Upgradation of the East-West Highway (Rs. 463.657 crores) and the Power Training Institute (Rs. 33.7crores). He also announced the doubling of the Ambassador’s Scholarship programme from Rs 1 crore to Rs 2 crore per year. 26 November 2014:Prime Minister Modi met Bhutanese PM Tshering Tobgay on the sidelines of 18th SAARC Summit in Kathmandu and discussed issues of bilateral importance. 4 January 2014: Maldives President Abdulla Yameen Abdul Gayoom visited India from 1-4 January 2014. The two sides signed a MoU on Cooperation in the field of Health, extended an MoU on Manpower requirements of the Indira Gandhi Memorial Hospital, and another for allotment of plot to the High Commission of Maldives. 26 November 2014:Prime Minister met President Mr Abdulla Yameen Abdul Gayoom on the sidelines of the 18th SAARC Summit in Kathmandu. Prime Minister announced special oil arrangements for Maldives during the SAARC Summit. 31 October 2014: The Indian Coast Guard conducted the twelfth edition of the joint exercise named “DOSTI-XII” with the Maldives National Defence Force (MNDF) and the Sri Lankan Coast Guard off Maldives coast from 28-31 October 2014. 30 November 2014: Indian Army and MNDF Marine Corps conducted ‘Ekuverin’, a joint training exercise from 17-30 November 2014 in Maldives. A 45 member team of Indian Army undertook the exercise with MNDF Marines. 17 January 2014: South Korean President Park Geun-hye visited India from 15-18 January 2014. Nine pacts in fields of outer space, informational technology and cultural exchanges were signed. A MoU on Cybersecurity between Indian Computer Emergency Response Team (CERT-In) and Korea Internet and Security Agency was signed. 30 March 2014: The Singapore army and the Indian army conducted the 10th bilateral armour exercise “Bold Kurukshetra” from 1-31 March 2014. A highlight of this year's exercise was the integrated live-firing by armoured fighting vehicles from both armies. 8 May 2014: India and Myanmar signed a MoU on Border Cooperation in Nay Pyi Taw. The MoU provides a framework for security cooperation and exchange of information between Indian and Myanmar security agencies. 22 May 2014: Singapore-India Maritime Bilateral Exercise, 21st annual bilateral naval exercise in the series, was conducted in the Andaman Sea from 22-28 May 2014. The Indian Navy was represented by ships Kuthar and Karmuk from the Eastern Naval Command along with a maritime patrol aircraft and a helicopter each from Andaman and Nicobar Command. The Singapore Navy was represented by the missile corvette ‘Valour’ and the patrol vessel ‘Independence’. 26 August 2014: External Affairs Minister Sushma Swaraj visited Vietnam from 24-26 August for talks with country’s leadership with main focus on cooperation in defence, agriculture, pharmaceuticals and textiles. 5 September 2014: Australian Prime Minister Tony Abbot visited India from 4-5 September 2014. The highlight of the visit was signing of a civil nuclear cooperation agreement to sell uranium to India. 9 September 2014: India signed the free trade agreement (FTA) in services and investments with the 10-member ASEAN, two years after the discussions on the pact concluded. The services agreement would open up opportunities of movement of both manpower and investments. 16 September 2014: President Pranab Mukherjee visited Vietnam from 14-17 September 2014. During the visit 7 agreements were signed including a $100 million line of credit for defence procurement for Vietnam including patrol vessels. 20 October 2014: A joint India-Singapore flying exercise JMT-14 was conducted at Air Force Station Kalaikunda from 13 October to 20 November 2014. Six F-16 aircraft and 108 personnel of Republic of Singapore Air Force participated in the exercise. 28 October 2014: Vietnamese Prime Minister Nguyen Tan Dung visited India on 27-28 October 2014. The two countries signed a pact for oil exploration in two more blocks in Vietnamese waters in South China Sea. 19 November 2014: Prime Minister Narendra Modi visited Fiji and held talks with his counterpart Frank Bainimarama where he announced line of credit and development assistance totalling upto Rs 80 million. 16 August 2014:The Hindu reported that French energy giant Total SA had shown interest in steering the cash-strapped Turkmenistan-Afghanistan-Pakistan-India (TAPI) gas pipeline project, despite grave security concerns that have so far dashed hopes of forging energy linkages between Central and South Asia. 11 February 2015: At the Steering Committee meet of the four nations involved in TAPI Pipeline in Islamabad, India urged Turkmenistan to relax its domestic law so that an international company can be brought in to construct the proposed $10 billion pipeline, as finding a credible, independent operator remains a key obstacle. 16 January 2014:India urged “international support” to prevent decade long achievements from going waste in Afghanistan. Addressing a meeting of International Contact Group on Afghanistan-Pakistan in New Delhi, External Affairs Minister Salman Khurshid said Afghanistan was at a critical juncture and required support from international community. 24 January 2014:India and Russia were working on an understanding by which New Delhi would be able to meet Afghanistan defence wish-list. 15 February 2014:External Affairs Minister Salman Khurshid visited Afghanistan for the inauguration of an agricultural university built with Indian assistance. During his visit President Hamid Karzai allayed India’s concerns over situation in Afghanistan after the scheduled US troops pull out, saying he was not against a “limited presence” of international forces in country. 19 March 2014: At UNSC debate on UN Mission in Afghanistan, India said it did not have the luxury of an “exit strategy” in Afghanistan, underscoring its commitment to assist the war-torn nation. 4 April 2014: India sent a team of 80 additional commandos to Afghanistan to secure Indian installations, including the embassy building, as the country goes for Presidential elections. 4 April 2014:With a non-governmental Afghanistan task force report pitching for stronger military cooperation between New Delhi and Kabul, the Prime Minister’s special envoy on Afghanistan and Pakistan, Satinder K Lambah, said India would continue to provide assistance as per “Afghan requests and priorities”. 23 May 2014: The Indian Consulate in the city of Herat was attacked by four heavily-armed gunmen who tried to enter the complex and later fired from neighbouring buildings. In an operation lasting 10 hours, all four assailants were killed- one by ITBP and two by Afghan forces, with a fourth blowing himself up. 27 May 2014: Afghan President Karzai laid out in detail Pakistan-bred Laskhar-e-Toiba’s plan to take Indian officials hostage at the Herat Consulate. 27 May 2014: During his bilateral meeting with President Karzai, Prime Minister Modi thanked him for Afghan forces who repelled attack on Indian Consulate in Herat. He reiterated India’s commitment to development and reconstruction of Afghanistan and its interest in seeing a prosperous, independent and sovereign Afghanistan. 30 May 2014: Foreign Secretary Sujatha Singh made a brief visit to Herat on 30 May to carry out a review of security situation in the Indian consulate. 2 June 2014: An Indian national working with an aid organisation in Herat province was abducted. The Afghan authorities confirmed the abduction of Alexis Prem Kumar, director of Jesuit Refugee Services. 10 September 2014: External Affairs Minister Sushma Swaraj visited Afghanistan and met Afghan President Hamid Karzai and held wide-ranging talks on political and security situation, factoring in both NATO drawdown and the US-Afghanistan security pact. The minister also inaugurated a new US$ 40 million Indian embassy building in Kabul. 15 October 2014:Prime Minister Narendra Modi called new Afghan President Ashraf Ghani to congratulate him on his election saying that India would stand with Afghanistan “at every step” as a friend and partner. 30 October 2014: Frustrated with India’s failure to deliver long-promised military aid, new Afghan President Ashraf Ghani has told New Delhi that he wishes to revisit his predecessor’s request for assistance, diplomatic sources said. 22 November 2014: In an interview with The Hindu, former Afghanistan President Hamid Karzai, for the first time said what he has hinted earlier that Pakistan’s leadership had demanded in bilateral meetings that India reduce its presence and aid projects in Afghanistan. 26 November 2014: Afghanistan’s new President Ashraf Ghani at a meeting of SAARC leaders in Nepal said that he would not allow anyone to conduct a proxy war in his country after warnings that the rivalry between India and Pakistan could spill across their borders. 21 January 2015:The Ministry of External Affairs offered to allow Afghan trucks unload goods at the integrated check post in Attari for exports from Afghanistan, thereby giving access to the Indian market. 22 February 2015:Indian Priest Alexis Prem Kumar was released after spending eight months in captivity in Afghanistan. 4 March 2015: Security, and talks with the Taliban, development and connectivity were at the top of the agenda for Foreign Secretary S. Jaishankars visit to Kabul on the last leg of this phase of his “SAARC yatra”. 31 January 2014:National Security Advisor Shivshankar Menon met Iranian Foreign Minister Javed Zarif at the sidelines of Munich Security Conference and discussed the issue of regional stability in light of developments in Afghanistan. 13 February 2014: Iran asked India for $1.5 billion in back oil payments under the nuclear deal that provides Tehran some relief from Western sanctions. If the payments were approved, this could make India the third of Iran’s major buyers. 15 October 2014:Teheran's troubled ties with the West continued to affect India's efforts to secure energy supplies with GAIL India expressing unwillingness to enter into a non-binding framework agreement with NIGEC (National Iranian Gas Exports Company) for buying gas through a transnational undersea pipeline for fear of losing access to international financing. 18 October 2014:In a move that could offer significant geo-strategic advantage to India by way of smooth access to Afghanistan, the Union Cabinet gave its approval to India’s participation in the Chabahar port project in Iran. 21 October 2014:India paid Iran $400 million to clear part of its past dues for crude oil it buys from the Persian Gulf nation. 8 January 2015:Iran has sought more flexibility in using an estimated $6 billion in accumulated oil payments from India to buy "non-sanctioned" items — beyond "humanitarian goods" — from third countries as sliding crude prices begin to pinch. 10 February 2015:National Security Advisor Ajit Doval visited Tehran and met with the President of Iran Hassan Rouhani, Foreign Minister Javad Zarif and Secretary of Iran’s Supreme National Security Council Ali Shamkhani. 2 January 2014: India signed a labour cooperation agreement with Saudi Arabia that would cover about a quarter of the 28 lakh Indian expatriates working there and could be the stepping stone for a more comprehensive pact covering all Indian workers in the Gulf Kingdom, said official sources. 27 February 2014: India and Israel signed three agreements to strengthen the efforts in the war against terror and beef up bilateral security relations. The agreements relate to Mutual Legal Assistance Treaty in Criminal Matters, Agreement on Protection of Classified Material and Agreement on Cooperation in Homeland and Public Security. 3 June 2014: Oman Foreign Minister Yousuf bin Alawi bin Abdullah met Prime Minister Narendra Modi and conveyed greetings of the Sultan of the Arabian country, reaffirming the importance of relations with India. According to an official statement they discussed ways to increase trade and investment between the two countries. 16 June 2014: India strongly condemned the attacks on Iraqi cities by Islamic State of Iraq and Syria (ISIS) and said that it stands by the Iraqi government and people against international terrorism. 17 June 2014:The ministry of external affairs set up a crisis management team to monitor the situation in Iraq and assist Indian nationals in the affected areas. 18 June 2014:Around 40 Indians working on projects near the Iraqi city of Mosul were kidnapped by suspected ISIS militants when they were being evacuated from the area ravaged by the war between the Shia-dominated government in Baghdad and Sunni jihadis. 28 June 2014:Stepping up its efforts to rescue Indians stuck in Iraq, the Indian Navy deployed its warship INS Mysore in the Persian Gulf, even as External Affairs Minister Sushma Swaraj summoned the Indian envoys in Gulf countries for consultations on the Iraq situation on 29 June. 1 July 2014:Abu Bakr al-Baghdadi, the self-proclaimed ‘Caliph’ of the ‘Islamic State’ said that India was among many countries in the world where the rights of the Muslims were seized, and urged all Muslims to fight for their rightful place and dignity. 21 July 2014:The Indian government blocked in Parliament opposition's effort to move a resolution condemning the death of women and children in Gaza which would have been read as aimed against Israel, leading the Congress and others to stage a walk out. 2 August 2014: The acting ambassador of Palestine to India, Saleh Fhied Mohammed, said that Palestine cannot blame the Indian government for their current stand on Israel’s Gaza conflict, as every democracy has its own diplomatic ways to deal with international crises. 21 August 2014: Speaking at the India-Arab League Media Symposium Foreign Minister Sushma Sawaraj reassured the Arab world that India would continue with its "strong political" support to the Palestinian cause. 18 September 2014:India and Israel agreed to extend their existing three-year action plan on agriculture cooperation beyond 2015, said agriculture ministerRadha Mohan Singh after meeting Israeli ambassador Daniel Carmon. 23 September 2014:The inaugural meeting of the India-Israel Joint Steering Committee on Homeland Security was held in Israel from 21-23 Sep 2014. The Steering Committee was set up to coordinate and direct cooperation in the area of Homeland Security as laid out in the Agreement on Cooperation in Homeland and Public Security issues signed between India and Israel. 28 September 2014: Prime Minister Narendra Modi met his Israeli counterpart Benjamin Netanyahu in New York on the sidelines of UNGA meet— the first time the heads of the two countries have met in 11 years. Between discussions on issues ranging from Iran and ISIS to West Asia, Israel invited India to be part of its national cyber defence authority. 12 October 2014:India pledged $4 million for the reconstruction of Gaza Strip necessitated by the recent Israel-Hamas war, the government announced at the Cairo International Conference. 29 October 2014:India and Oman signed a pact paving the way for substantial engagement in pursuing and eliminating transnational crimes and terrorism of various hues. 6 November 2014:During a meeting with Israeli Prime Minister Benjamin Netanyahu, visiting Home Minister Rajnath Singh discussed the regional situation and the evolving threats to the global community from terror. The Home Minister expressed satisfaction at the growth in bilateral ties in a range of areas, including defence and agriculture. 30 January 2014: External Affairs Minister Salman Khurshid visited Morocco from 30 January to 1 February 2014. During the visit, India and Morocco signed two cooperation agreements in the fields of environment and marine fisheries. 2 February 2014: The External Affairs Minister Salman Khurshid visited Tunisia from 2-3 February 2014. It was the first bilateral visit by an External Affairs Minister of India to Tunisia since the establishment of diplomatic relations between the two countries. 4 February 2014: External Affairs Minister Salman Khurshid visited Sudan from 4-5 February, 2014. The Sudanese side conveyed that India was the most preferred country in Sudanese external relations. 8 March 2014: The Somali Minister of State for Foreign Affairs Buri Mohamed called on Secretary (East), M.E.A. Anil Wadhwa, and discussed issues related to piracy, Indian hostages in Somalia, trial of 120 Somali pirates in Indian custody and India’s role in capacity building in Somalia. 9 March 2014: 10th CII-EXIM Bank Conclave on India-Africa Project Partnership was held in New Delhi. The Indian and African leadership reaffirmed their commitment to deepen the bilateral cooperation endeavours and to jointly address crucial global issues like food and energy security. 12 March 2014: 22-member Indian Naval Marching Contingent participated in the Mauritian National Day Parade on 12 March 2014 at Anjalay Stadium. 25 September 2014: India announced $12 million contribution to the United Nations to help it fight the deadly Ebola virus in the African continent. 26 September 2014: The Make in India campaign was launched in Tunis with an event that attracted significant members of the business and media communities of Tunisia. 1 November 2014: External Affairs Minister Sushma Swaraj visited Mauritius from 1 November to 3 November. The discussions relating to Double Taxation Avoidance Agreement (DTAA) and black money were held between the two countries. 2 November 2014:The Chief of Naval Staff of India, Admiral R.K. Dhowan visited Kenya from 02-06 November 2014. The Kenyan Naval Chief briefed the Indian Chief of Naval Staff about the maritime security challenges being faced in the East African Region. 7 November 2014:India handed over INS Tarasa to Seychelles to augment its surveillance and patrolling capacity of Seychelles waters that covers an extensive EEZ of over 1.3 million sq. kms. 10 December 2014: The 3rd round of India-Morocco Foreign Office Consultations (FOCs) was held in Rabat. Both sides commended the excellent relationship between the two countries, which share values of moderation, dialogue and solidarity. 20 December 2014: India exported its first warship “CGS Barracuda" to Mauritius. 11 March 2015: In his meeting with President of Seychelles James Alix Michel, Prime Minster announced that India would give a second Dornier aircraft to the Island nation for coastal surveillance. 16 July 2014: Prime Minister Narendra Modi met Brazilian President Dilma Rousseff in Brasilia. Both the countries signed agreements on cooperation in the fields of environment and remote sensing on the sidelines of the sixth BRICS summit 2014. 25 September 2014:The BRICS Foreign Ministers met on the margins of the 69th session of the United Nations General Assembly. In the spirit of openness, inclusiveness and mutually beneficial collaboration, the Ministers reiterated the commitment of BRICS to comprehensive cooperation and a closer economic partnership. 20 November 2014:The 1st Foreign Office Consultations between India and Bolivia were held in La Paz. The talks covered the entire range of bilateral relations including political, commercial, investment and technical cooperation. 15 July 2014: The New Development Bank was established with the purpose to mobilize resources for infrastructure and sustainable development projects in BRICS and other emerging market economies and developing countries to complement the existing efforts of multilateral and regional financial institutions for global growth and development. 16 July 2014: The sixth BRICS Summit was held in Fortaleza in Brazil on 14-16 July 2014, where the theme was "Inclusive Growth: Sustainable Solutions”. The Summit adopted the Fortaleza Declaration and Action Plan, the Agreement on the New Development Bank, the Treaty for the Establishment of a BRICS Contingent Reserve Arrangement and agreements among BRICS Development Banks and Export Credit Insurance Agencies. 31 July 2014: The deadline set for ratification of the Trade Facilitation Agreement to ease custom rules lapsed as India refused to ratify the deal until a permanent solution was found on the issue of food subsidies. 24 October 2014: The representatives from 21 Asian nations signed an agreement to establish the Asia Infrastructure Investment Bank (AIIB), which would lend money to build roads, mobile phone towers and other forms of infrastructure in poorer parts of Asia. 25 November 2014: The UN adopted a resolution on protecting digital privacy and urged governments to offer redress to citizens targeted by mass surveillance. The resolution was presented by Germany and Brazil and was adopted by consensus by the General Assembly’s human rights committee. 27 November 2014: The TFA was ratified in Geneva ending months of deadlock. With this agreement WTO would introduce new standards for customs checks and border procedures. This would streamline the flow of trade around the world adding as much as $1 trillion and 21 million jobs to the world economy. This was the first major deal for trade reform in the WTO’s 19 year history, and was supported by all its 160-member countries. 13 February 2015: India signed an agreement with World Bank for assistance of $8 million to take up various adaptation measures in rural areas to deal with the threat of climate change. The money would be used to implement special projects to improve adaptive capacity of the rural poor to climate change.